I’m a firm believer that the best cookies are anything but firm. 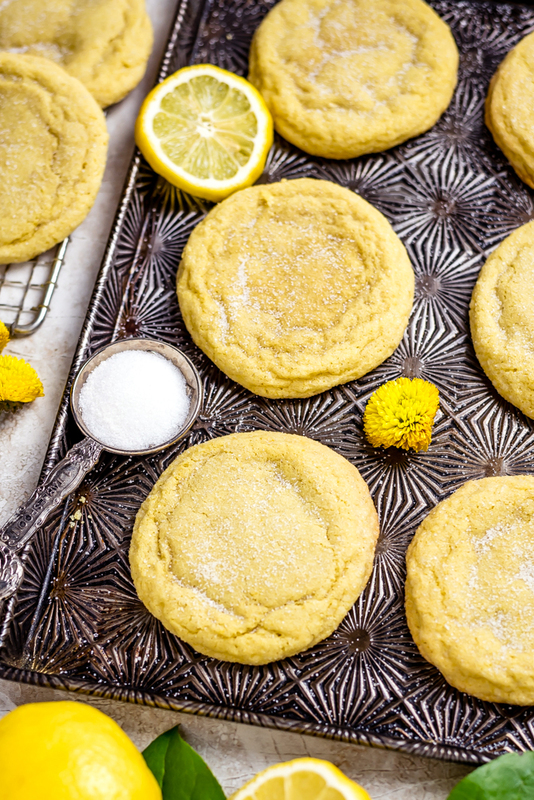 A soft, big, buttery, chewy cookie is the key to my heart, and these Soft and Chewy Lemon Sugar Cookies absolutely fit the bill. They’re made from scratch and bursting with tart lemony flavor from both lemon zest and real lemon juice! Of course I shared some with friends throughout the process, both for feedback and to get some of the cookies out of my house, where my self-control is seemingly non-existent. 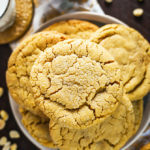 And while I have a bit of a reputation ’round here for making awesome cookies (not to pat myself on the back too much), several of my friends proclaimed these to be the best cookies I’ve ever made. Or their favorite cookies they’ve ever had. 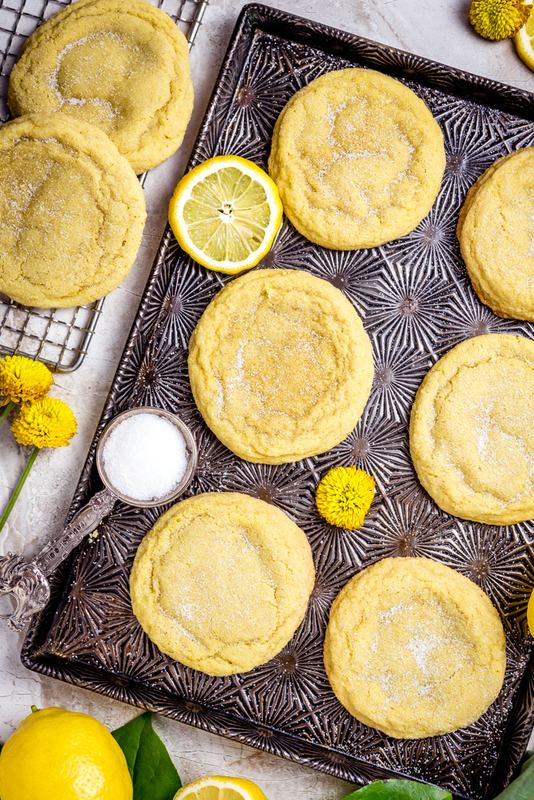 Who would have thought that lemon sugar cookies could trump gooey, chewy chocolate chip, or dreamy, giant peanut butter cookies? I definitely didn’t. 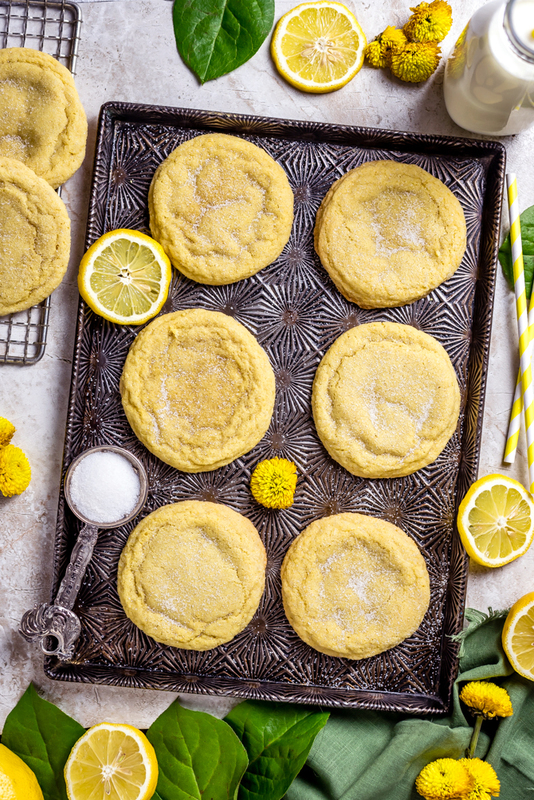 The thing is, these Soft and Chewy Lemon Sugar Cookies may not be loaded up and oozing with crazy fillings, but they are intensely flavorful thanks to a combination of lemon zest and lemon juice, and their dense, chewy texture makes them a joy to sink your teeth into. They’re the sort of cookie that you crave year-round. Their brightness makes them perfect for spring and summer holidays– you can bet I’m making another batch for Easter– but they’d be just as welcome at a Christmas cookie exchange, where their zippy tart flavor would be a great departure from the usual richness of chocolate-spiked desserts. Honestly, any excuse to make these is a good one. Any time, a good time. 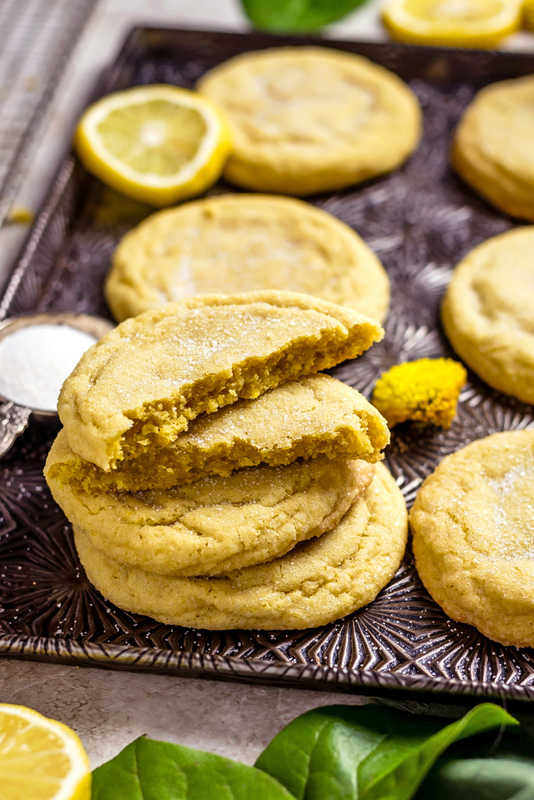 So how do we get lemony-flavored cookies that are sweet, chewy, and perfectly baked? Ditch the lemon extract. Lemon extract and lemon juice are often thought of as being entirely interchangeable, but lemon extract has an oil or alcohol base and does not achieve the same tartness as you get with real lemon. If you want your cookies to truly taste lemony, go with the real thing. Use both lemon juice AND lemon zest. Lemon juice adds signature lemon flavor to the dough, but too much will throw off your proportions. Adding the zest of the lemons as well means that you’re wasting less and getting more flavor without increasing the volume of wet ingredients. Use butter, not shortening. Many cookie recipes call for shortening or a mix of butter and shortening, but using butter only gives you more richness and– obviously– buttery flavor. 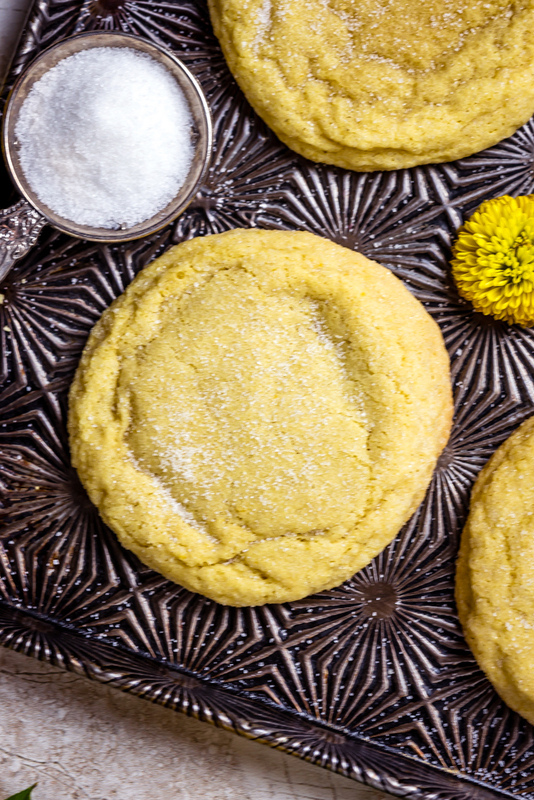 Who doesn’t want a truly buttery lemon cookie? Use both white AND brown sugar. Obviously regular white granulated sugar adds sweetness to the cookies, but it also encourages the cookies to brown as the sugars caramelize, absorbs moisture in the dough, and encourages the cookies to spread from their ball shape as the sugar melts. Meanwhile, a bit of brown sugar creates a chewier, more deeply flavorful cookie thanks to the addition of molasses which is moist and slightly acidic. Don’t skip the cornstarch! It might seem like a strange addition, but cornstarch is my “secret ingredient” when it comes to making the perfect chewy cookies. Cornstarch helps to soften harsh proteins in the flour, making the cookies more tender in the end. Chill the dough. Chilling the dough accomplishes two things: It allows the dough ingredients to meld together and it also prevents the cookies from spreading too much and getting overly thin and crisp. Line your sheet pans with parchment paper. On the subject of preventing cookies from spreading too much, lining sheet pans with parchment paper is another way to help your cookies keep their shape. It also prevents the cookies from burning or sticking on the bottom and makes for easier clean up. 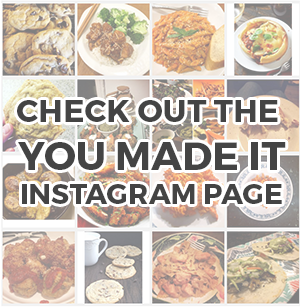 You can also use a silicone baking mat instead! Roll the dough ballin extra sugar. Rolling the cookie dough in extra sugar means that that sweetness is the first thing that will hit your tongue when you take a bite. It also encourages the cookies to crinkle slightly and adds a more interesting texture to the final product. Take the cookies out of the oven BEFORE they look like they’re finished, and let them cool on the baking sheet. 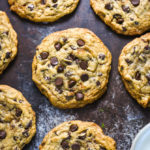 If you want your cookies to be ultra-dense and chewy, the best way is to take them out when they’re still puffy and undercooked in the center and just beginning to brown along the edges. If you let them cool on the baking sheet, the residual heat will continue to bake them and they will firm up just enough to the point where they’re solid but still incredibly soft. And then you can dig in. If you’re the sort of person who likes to add extra ingredients to everything, I get that. I’m also that person. The original version is great, but if I can sneak some pantry ingredients into half of a batch of cookies, I’m sure gonna try. These Soft and Chewy Lemon Cookies are no exception. So here’s some add-in inspiration for you! Nuts. 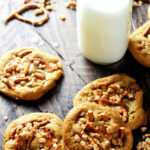 Macadamia nuts and almonds would both be great additions to these cookies! Just watch out if serving to a big group of people who might have allergies. White chocolate chips. I’m not big on regular milk or dark chocolate with lemon, but white chocolate pairs fantastically with tart lemon! Poppy seeds. Poppy seeds add a distinctive nutty flavor and slight crunch that is perfect for adding to lemon desserts. Berries. Berries such as blueberries, strawberries, and raspberries would make great add-ins, either in fresh or dried form. Coconut is also technically a berry, and a little shaved coconut would do well here! Fresh herbs. It might sound weird to add herbs to a cookie, but fresh basil, thyme, or mint would be delicious. Have more ideas or suggestions? Let me know in the comments! In a separate bowl, whisk together the flour, salt, baking soda, baking powder, and cornstarch. Add the dry mix to the wet ingredients and stir until fully combined, being careful not to over-mix. Cover and refrigerate for 1 hour. Preheat oven to 350°F. Line two baking sheets with parchment paper. Pour 1/2 cup granulated sugar on a small plate. Roll 2 tablespoons of dough into a ball and roll in granulated sugar. Place on baking sheet and repeat with remaining dough. Be sure to leave space surrounding the cookies for them to spread! Bake for about 10-14 minutes, rotating half-way through, or until the cookies have spread out and the edges are golden, but the centers of the cookies still look soft, puffy, and undercooked. Every oven is different, so I recommend starting with just one or two cookies on the tray to see what baking time works best for you! Let the cookies cool on the baking sheets until the cookies are firm enough to remove, about 15 minutes. Repeat with remaining batches, until all cookies are baked. Be sure not to let the trays cool completely before putting any more batches of cookie dough on them, as warm trays will cause the cookies to spread out too much. These are so mouthwatering. Keeping aside the recipe, which obviously is standing out and is really well scripted, I’d say the pictures and the presentation deserves applause as well. Hi Debra! I have actually experimented with baking with sugar substitutes a lot in the past, though I imagine there are probably more options out today than there were back when I tried about 7-8 years ago. However, stevia is a hard one because it is significantly sweeter than sugar by volume, so you can’t swap them out one-for-one in recipes. I would be hesitant to just try swapping while using less as it will affect the texture of the dough. I’m going to look into it and see if there’s anything I find that might be a good solution! And if anyone reading this has any suggestions, please send them our way! I have to make cookies for this weekend for a family gathering and came across this recipe. Looks great and I’m excited to try it! Thank you soooooo much for this recipe! These look delicious!! By the way OMG I love you pictures, your soooooo good at it!!! 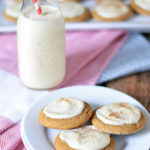 I really like chewy cookies – the texture of soft cookies is incredible and makes me want to make more and more of them. Really like that you’ve added some lemony flavor here – definitely a hit! I recently tested about 15 batches of chocolate chip cookies so I appreciate all the hard work behind your lemon sugar cookie. I can’t wait to make this perfected cookie. 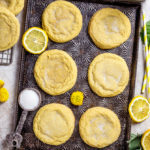 These lemon cookies look amazing! Oh yum! That texture looks absolutely wonderful! I love that you made so many batches until you had it just perfect. We very much appreciate your work and effort! I cant wait to make these and thank you for mistakenly saying “ballin”. These cookies ARE ballin.